The Private Pilot’s Licence (PPL) course is designed to train you to handle a light aircraft to a level of competency which will allow you, once qualified, to fly with passengers anywhere. The course is well structured and follows an internationally recognised syllabus. The initial part of your training will cover all the basic required manoeuvres. You will then progress onto perfecting the art of taking off and landing safely. Once you have achieved the consistent standard required, your instructor will invite you to carry out one take off and landing on your own. This magical experience will be your first SOLO flight (never to be forgotten). Following this is a period where you will consolidate and improve your skills. Finally, you will learn the art of navigation with a mixture of dual and solo flights. At the end of your course, you will be required to pass a flight test with one of our resident Examiners . You can take this flight test after recommendation by your Instructor. There are also 9 written theoretical knowledge examinations to be taken, these are in the form of multi choice question papers each one requiring a minimum of 75% pass mark. If you haven’t flown in a light aircraft before, or are not sure if you want to plunge straight into a PPL course we recommend that you come along and have a trial flight. Trial flights are also an ideal gift for someone and for that reason we offer Trial Flight Gift Vouchers. You can choose either half an hour 45 minutes or a one hour lesson which consists of a flight over the local area. You will fly with a qualified flying Instructor who, after a short demonstration, will invite you to handle the controls and enjoy the sensation of flying a light aircraft. This is an excellent opportunity to meet other instructors and club members, and to ask any questions you may have. You are under no obligation to continue with lessons but should you wish to do so your trial lesson will become the first entry in your personal logbook and you have started to learn to fly. We operate modern, well equipped aeroplanes, these are: Cessna 172, Piper PA28 Warrior, Robin HR200, and an Alpha120T models. 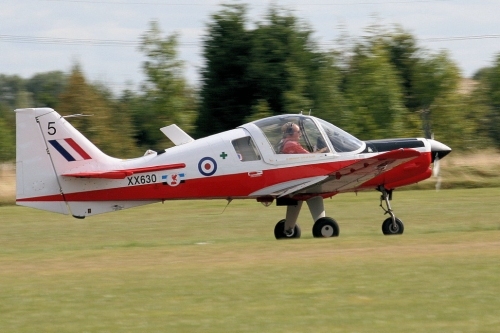 These aircraft are probably the most popular training aircraft in the country. They are easy to learn in and fun to fly. Built and maintained to a very high standard, and have an excellent safety record. Our Cessna 172 and Piper PA28 Warrior aircraft which are ideal for touring or for flights when you have more than one passenger. All the aircraft are comprehensively insured – details are available on request. You don’t need special clothes for flying, our aircraft are modern. comfortable and equipped with heating. You will feel most comfortable in casual clothes. Warm clothes in more adverse weather are recommended as airfields are, by their nature, exposed to the elements. We stock all books and flight equipment you are likely to need during your training. You don’t have to purchase all of these items immediately – only as and when you need them. Guidance will be given by your Instructor. to Study on any device you like. Anywhere. Anytime. You don’t need any special qualifications to start your course, members do come from a wide range of backgrounds together with a wide range of abilities. Just enthusiasm and a helping of common sense. As regards to age: there is no upper limit, 17 is the minimum age to hold a licence and 16 is the minimum age for solo flight. Anyone of any age can fly. Before you can fly solo, you are required to pass a “Class 2” Medical conducted by a doctor approved by the Civil Aviation Authority. This is quite straightforward, and so long as you are generally fit, should not present any problems. Glasses or contact lenses are both usually acceptable, the only proviso is that you carry a spare pair (or spare lenses) whilst flying. Before you start flying you are required to become a member of Anglian Flight Centres either on a pro-rata monthly or annual basis. You are required to hold a Radio Telephony Licence to operate the radio in the aircraft once you have obtained your PPL. The training for this is normally carried out as an adjunct to your PPL course and assessment consists of a written and an aural test. When completed, you will be issued with a RTF Licence, which is proof of your competence to operate the radio. This is designed for people who do not wish to complete a full PPL course for financial, medical or other reasons but would like to take part in flying. All you need is ten hours tuition. No medical or exams are required; we teach you the basic skills needed to fly the aircraft, use the radio and in an emergency and to land the aircraft safely. When you become the proud owner of a pilot’s licence you might be eager to find out what you can do with it. During your training you were taken along a structured course but now this has been completed you will find all sorts of doors open up for you. You can explore beyond them as much or as little as you like. Your licence is the starting point for a whole range of aerial activities, or the beginning of a career in aviation. Our work as instructors doesn’t end when you get your licence either. We are there to help you extract the maximum benefit from your flying, either from extra training or by simply encouraging you to venture further afield and explore by yourself. The aircraft you learned to fly in are available for you to hire. Your first flight as a qualified pilot may well consist of a trip around the local area with a friend, relative or you may have a long queue of people waiting for you to take them up. You can team up with other pilots (sharing the cost) and fly off to other airfields. You may even feel like a flight to the continent, for which Earls Colne is ideally situated (France being only about 1 hr 15 minutes away). On occasions where you have more than one passenger you can hire a four seat aircraft. To be able to fly these you will be required to carry out conversion training with an instructor who will show you the different systems and handling characteristics (usually about 2-3 hrs). There is also a variety of other courses available to you. Many of our members do go on and complete further training of some kind with us. Your Private Pilots Licence may be regarded as a core qualification to which you can attach various “ratings” many of which can be completed with our club. In addition to the “official” ratings, we offer several other short courses to help you gain more experience and to help you become an even safer and more confident pilot, which are shown below. Flying at night is a completely different experience! With a night rating you can enjoy the freedom of the night sky and dispense with the restrictions that sunset otherwise imposes. Night take off, landing and navigation techniques are a bit more of a challenge but are soon mastered. You will need this rating to legally fly at night with passengers. You will have been taught basic radio navigation when you were training for your PPL. We encourage further training in more advanced techniques, useful in conditions of reduced visibility or when flying over sea. The IMC rating qualifies you to fly in cloud and in conditions of poor visibility in certain types of airspace and to carry out instrument approaches into certain airports. The course culminates with a test during which you show your proficiency at controlling the aircraft by sole reference to the flight instruments and following an “instrument approach procedure”. Your basic training will have been conducted in an aircraft with a conventional “tricycle” undercarriage. Aircraft with a tail wheel take a little more finesse and practice to take off and land. Our instructors will lead you through this official conversion process. We currently don’t have a tailwheel aircraft available for hire at the club. However, we are pleased to offer training in your own aircraft if required. Some aircraft have more advanced systems, and further training is required before you are allowed to fly them. 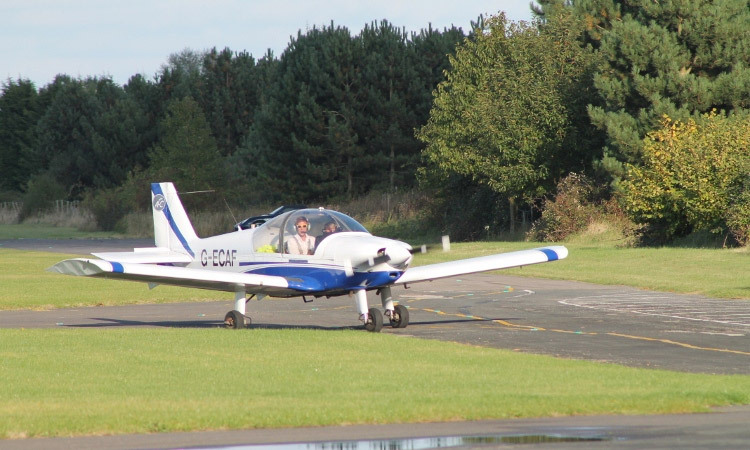 At Anglian Flight Centres, we can train you to fly aircraft with retractable undercarriage, variable pitch propellers, turbo or super-chargers, and also those with “glass” cockpits. This course was developed by one of our instructors for the discerning tastes of our qualified pilots who are seeking to improve and extend their flying abilities. It is designed to refine those skills acquired during basic training and to explore further airfield into such things as short strip operations, bad weather operations and a revision of all emergency procedures plus a lot lot more! You’ve always been taught to keep away from other aircraft. Well, now you can be taught how to safely fly in close proximity. Designed and led by instructors in current formation practice, we guarantee you’ll thoroughly enjoy yourself, as well as learning something new. The information provided is intended to give you a quick insight into our training courses. It is essential to consult the published syllabus and official CAA/EASA documents which lay out in detail the legal requirements for the PPL and additional ratings. These documents are available for your use and inspection in the clubhouse.